Australia’s top securities regulator believes central bank-issued cryptocurrencies could one day throttle illicit bitcoin use, and that initial coin offerings (ICOs) will remain largely outside the scope of global regulators. 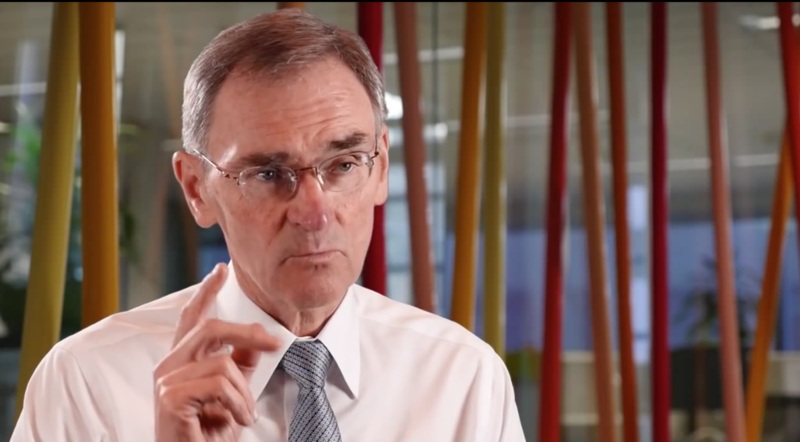 In interview with CoinDesk, Greg Medcraft, chairman of the Australian Securities and Investments Commission (ASIC), spoke openly about the state of blockchain technology and its impact on international regulators. Perhaps most notable are Medcraft’s comments on the idea that centrally-issued cryptocurrencies present an attractive way to thwart illicit cryptocurrency use, a comment that came in response to questions about the rise of ransomware attacks leveraging the technology. “Depending on the type of centrally-issued digital currency, the ability to deal with the black economy and money laundering, etc, is dramatic,” he told CoinDesk. By replicating the utility of bitcoin as a payments channel within a centralized scheme, Medcraft said, there would be fewer non-nefarious reasons for individuals to use bitcoin or other decentralized currencies. The ASIC chairman went on to emphasize that he still sees promise in bitcoin as a store of value and payment system, particularly in the developing world and in unstable monetary environments. Yet, he argued that underbanked populations in more developed nations would reap more benefit from centralized cryptocurrencies. In particular, he pointed to central banks experiments currently underway in Sweden, Singapore and Senegal as harbingers of what might become a global phenomenon in the coming years. Under Medcraft’s guidance, ASIC has become a leader in promoting the development and advancement of blockchain and fintech. It has cut red tape by offering waivers and exemptions to small businesses, and has offered clear guidance on the technology’s usage. In March, the agency published an information sheet aimed at helping businesses discern whether their use of blockchain would bring them under ASIC’s regulatory scope. Medcraft also responded to questions about so-called initial coin offerings, or public sales in which blockchain contracts are sold to investors as a means of fundraising. Here, he noted that ASIC and other global securities regulators are closely tracking the rapid growth in ICOs, while admitting there are jurisdictional limitations as to how involved they can be at this time. “It’s certainly on the radar. We’re watching,” Medcraft said, referring to his colleagues in the International Organization of Securities Commissions (IOSCO), the global association of securities and futures regulators. ICO regulation is potentially a billion-dollar question for the cryptocurrency industry, but Medcraft said that the question of how they should be regulated is still up in the air, because many do not possess the characteristics of traditional securities and therefore fall outside the mandate of traditional securities regulators. If securities regulators follow the same definitions and guidance they’ve previously used when approaching cryptocurrencies, Medcraft said, then ICOs, as they are typically structured, probably do not fall under their purview. “If we assume that our approach to cryptocurrencies is that they are a commodity as opposed to a currency, and we said that bitcoin is not a currency and therefore it’s not a financial product, it seems to me that the product itself, strictly speaking, I don’t think we would actually be regulating,” he continued. Yet, that’s not to say there aren’t instances where ASIC could be involved. It’s just that to be officially deemed a security, an ICO token must be tied to certain financial obligations in the future. While only a handful of ICOs have launched in his jurisdiction, Medcraft said the ICO tokens that other securities regulators around the globe have looked at have generally fallen outside of this definition. “I think the ones they’ve looked at have been more cryptocurrency-type ICOs rather than debt or equity-like,” he said. Adding that his regulatory colleagues around the world remain largely in the information-gathering phase, he noted that tackling ICOs would be on the agenda of future IOSCO meetings. Notably, the SEC is reportedly taking hard look into the recent explosion of ICOs, with a particular focus on investor protection. Should Medcraft come across an ICO that does meet the criteria to be considered a security, he indicated ASIC’s approach to regulating the offering would follow the same guidelines that it applies to any other financial instrument. “In principle, what we’re looking for is that the consumer can have trust and confidence in what they’re buying, and that the risks are properly disclosed,” he said. Still, Medcraft also warned against any premature moves to regulate such offerings without a comprehensive understanding of their value propositions, the underlying technology and the benefits and risks to they pose to consumers and markets.